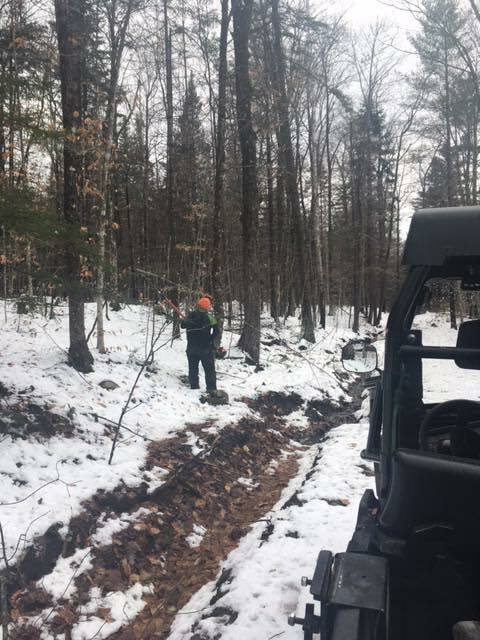 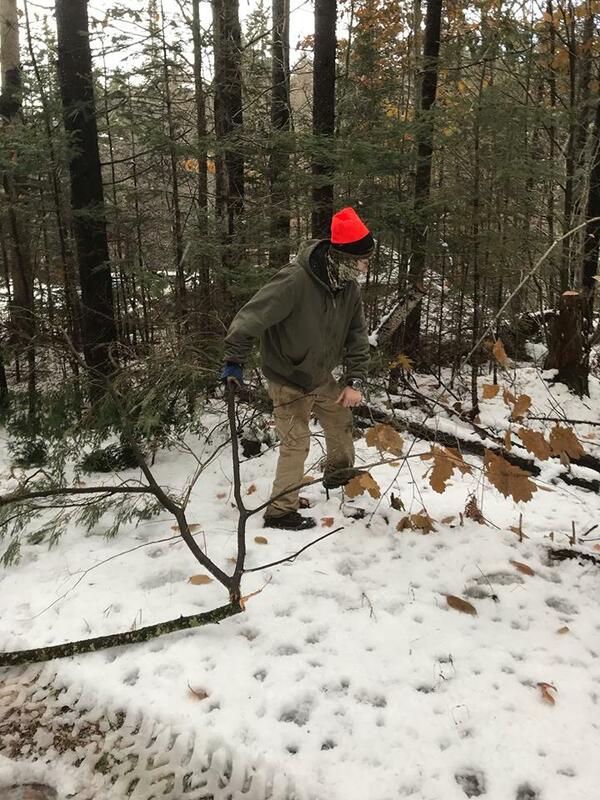 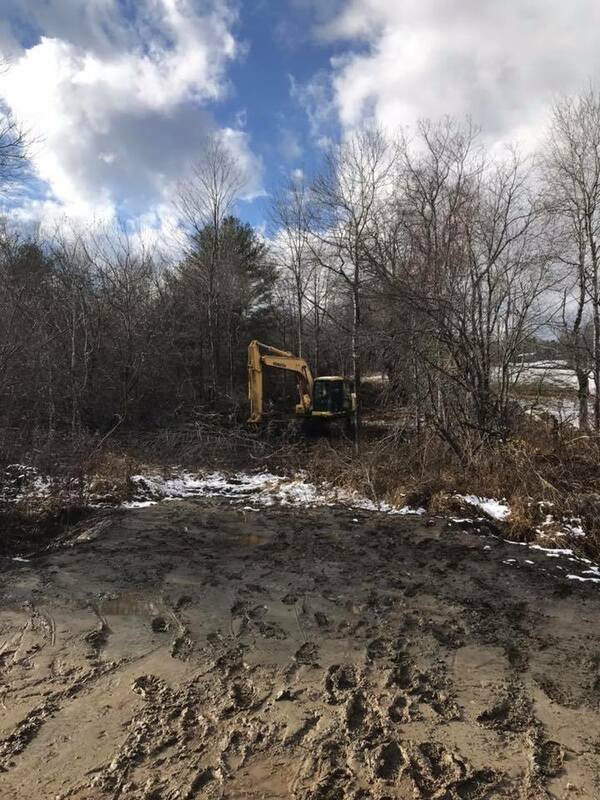 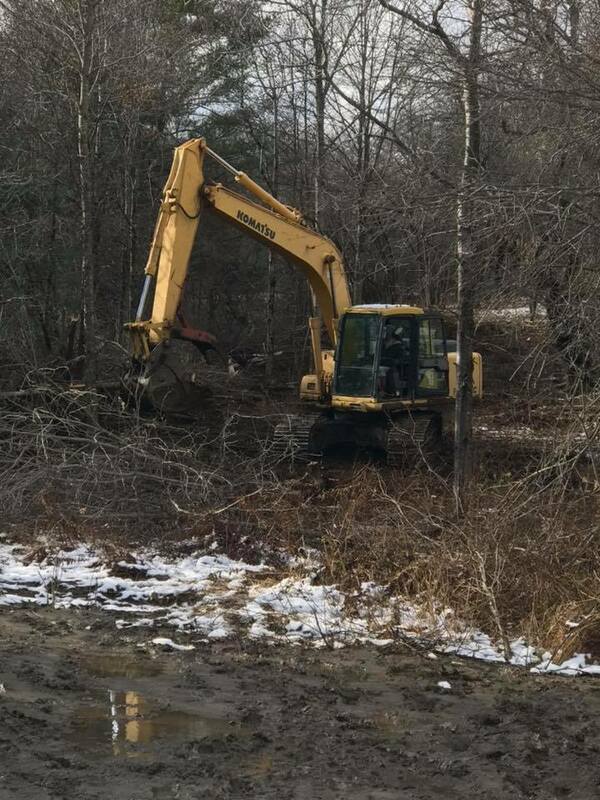 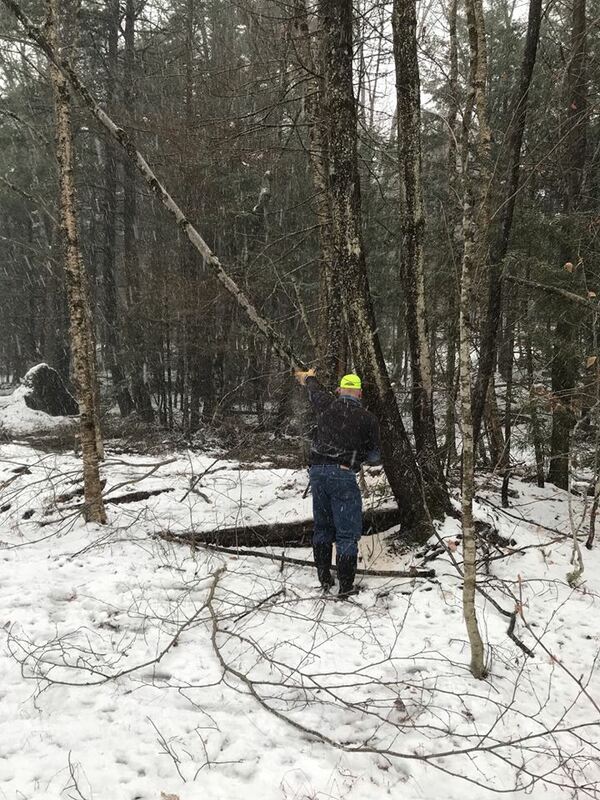 hank you to Cameron Burkhardt, Fred Burkhardt, Glenn Fagan, Joe Marini, Tim Rowe, Dan Tiernan, and Russ and Jean Walsh for braving mud, wind, and snow squalls to cut in a Corridor 12 re-route and cut back overgrown portions of trail near Colby Pond. 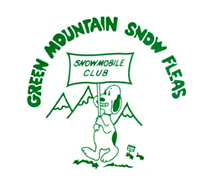 Chef Jared not only provided a delicious lunch but also hosted the group at his warm house! 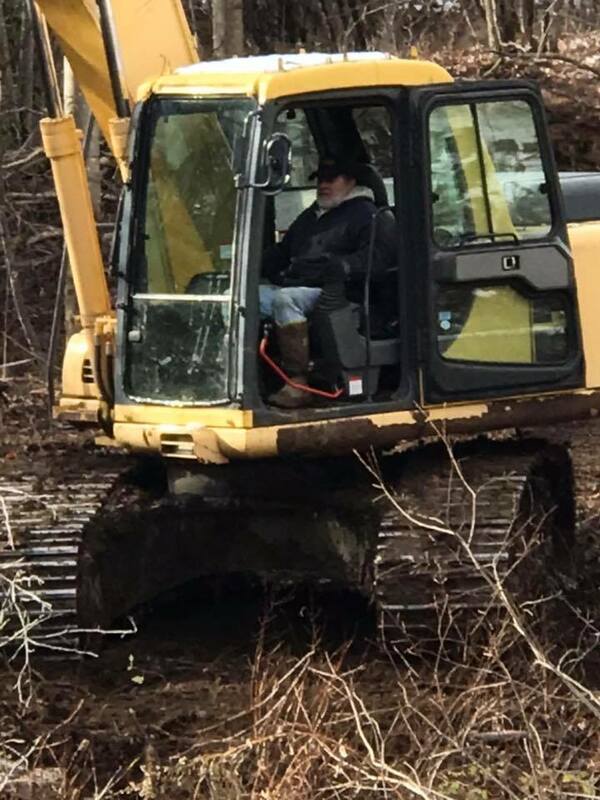 Our volunteers are the best. 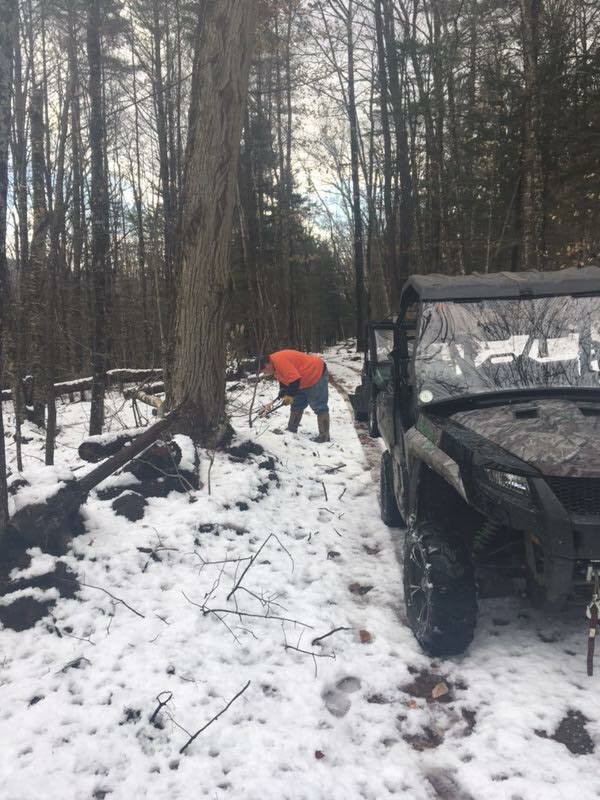 Thanks to our landowners for letting us use their land as our favorite sport wouldn’t be without them!